Articulated Elephant Remix #3DThursday #3DPrinting « Adafruit Industries – Makers, hackers, artists, designers and engineers! 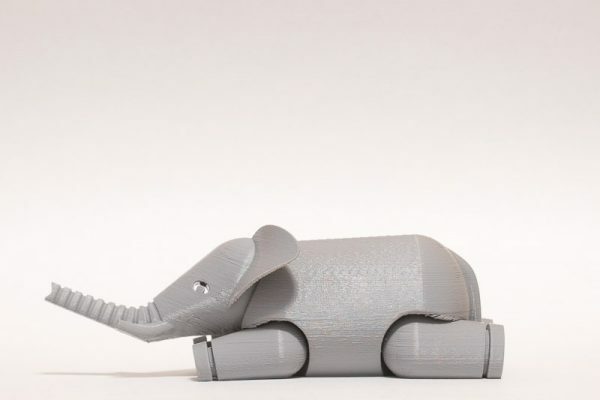 Inspired by the great design by LeFabShop https://www.thingiverse.com/thing:257911), this elephant has an articulated head that rotates side-to-side and up-and-down. I’ve included a regular-sized file and another for half-sized prints. As you can tell from the photos, the prints could use some cleanup due to overhangs.